Spring is on its way but I’m already excited for summer because it means more hiking and camping trips! A few summers back, my boyfriend and I planned a day hike out to High Pass Trail. 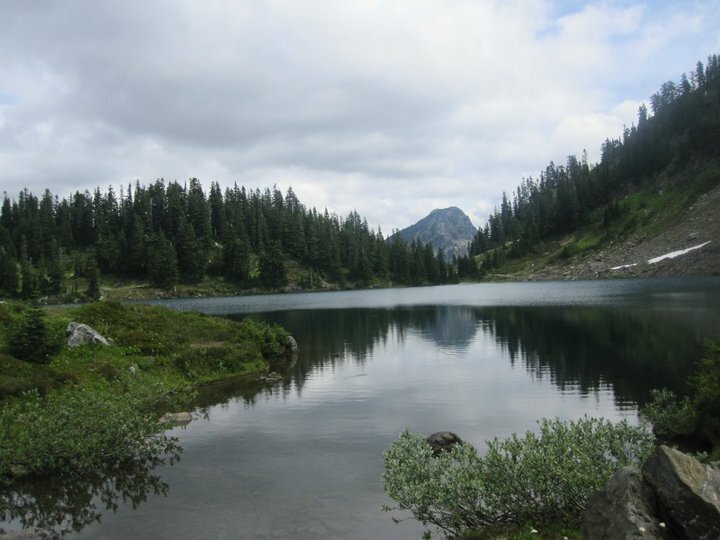 The trailhead for the 3 mile one-way path starts at Twin Lakes in the Northern Cascade Range and traverses along an avalanche chute before a steep scramble up to Mount Larrabee. We hiked along beautiful, glacier-fed lakes, through wooded forest, up to alpine meadows, and hills of shale at the summit. Though it was rough in spots, it was worth the views! Generally the pass is only free of snow (i.e. open to us since we don’t have ice gear) for a few weeks each year, so we got there just at the right time. Amazing photos! Thanks for sharing. It brings back wonderful memories of my younger days when I could hike in extraordinary places. Amazing! My girlfriend and I love to hike together as well and this is a truly inspirational post! Love the pictures!